Modern kitchen designs in Red ! Kitchen is the most functional area in a home. When designing a kitchen look for different floor plans, cabinet designs and different layouts possible. 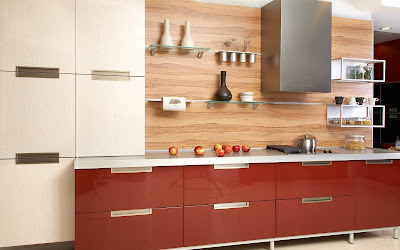 This area is really unique in the variety of cabinets, color scheme and details involved. 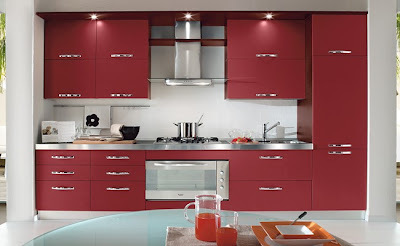 Beautiful functional kitchen in a simple layout.The color of the cabinets is classy and has ample storage. The chrome fittings look great on the deep red. Classy kitchen ! Italian design with a flair. Sharp dynamic look and very stylish. 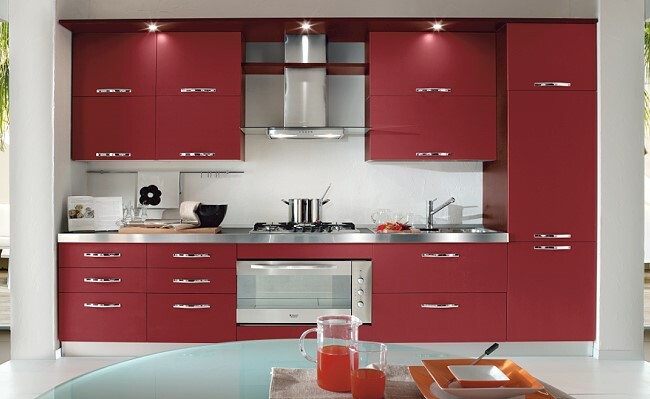 Love the detailing in red and cabinets with frosted glass. Impeccable designing. Awesome kitchen design for apartments. This well lit kitchen is so inviting. 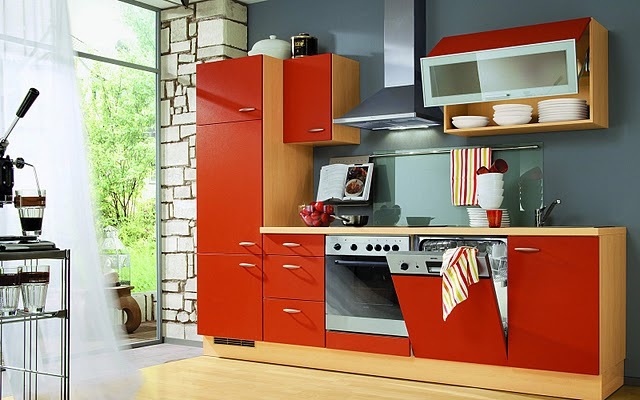 Red color provides the right energy to the whole setting. Very well organized cabinet work for a small space. Fab ! 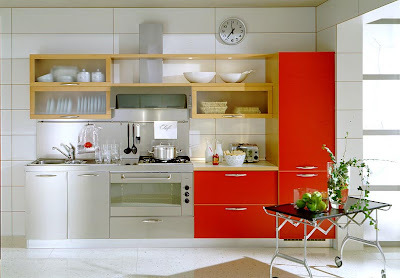 Great usage of space in this kitchen design. 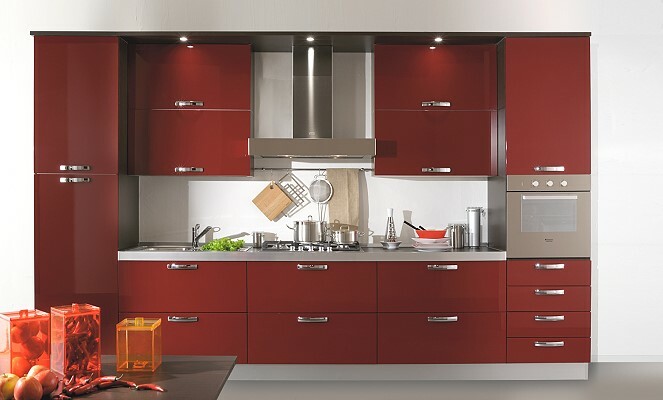 There are a number of cabinets here and the space is beautiful as well as functional. A dream kitchen ! 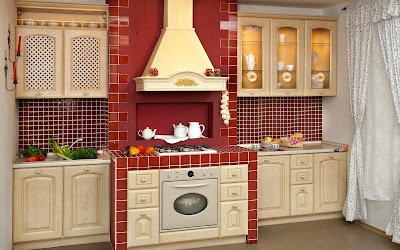 Old style kitchen design is so charming ! Love the red tiling details and the lattice cupboard. A design for connoisseurs. Lovely manor kitchen and a delightful space ! This kitchen has been designed in a thoughtful way in impeccable style. 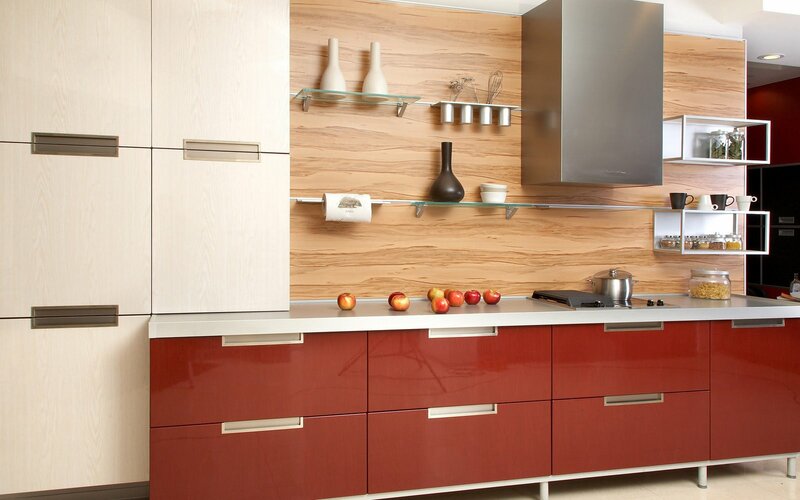 The minute detailing, glass back splash, cookbook shelf are aesthetics of a creative mind. Creative genius. 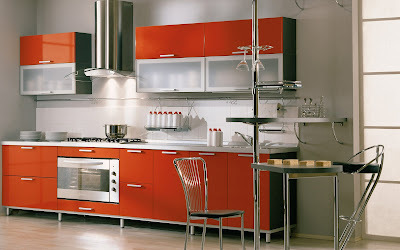 Italian design, hi-end kitchen. The clean lines and sleek look is so modern. Love the open shelves and the chimney design. Very artistic take on a functional design. Color it Red !